This beautiful quality wool blend tweed suiting from Italy is a classic in shades of brown and beige. 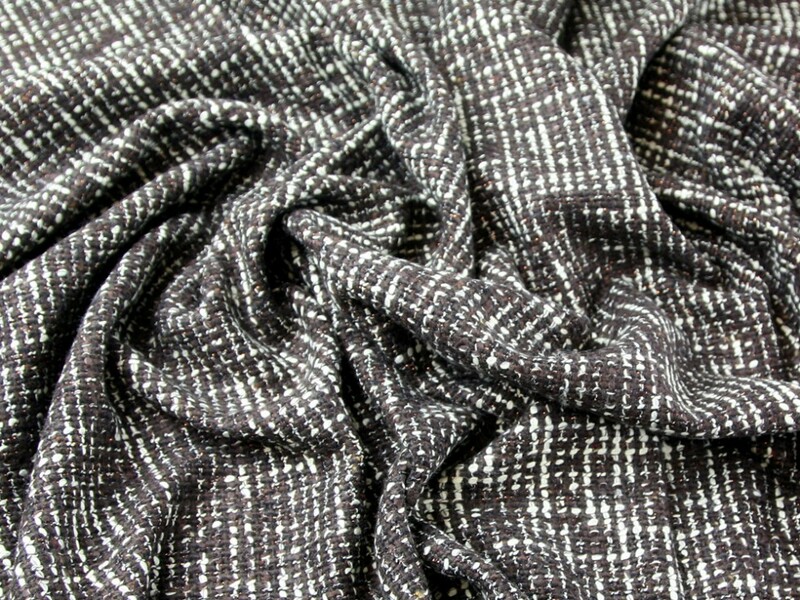 Although a tweed, this fabric is very soft and smooth and has a lovely warm and cosy feel. 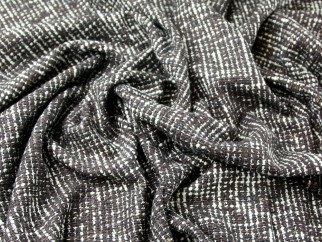 If you look closely you can see a fine lurex thread within the weave which gives this fabric just a hint of sparkle. This fabric has a good weight and we imagine it being made into jackets, skirts and winter dresses.